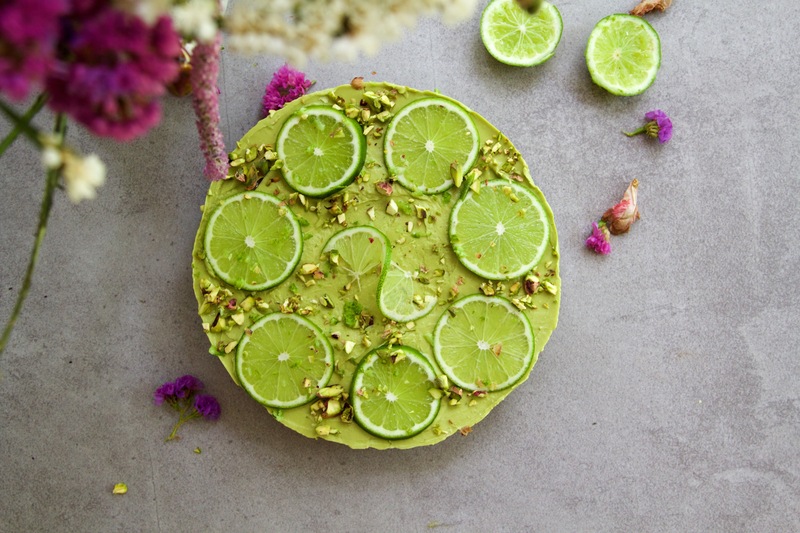 Summer is getting closer in Australia so I thought I would share with you a Light, fresh, dessert full of flavour and i’m certain it will be a hit at summer gatherings! Of course it’s also great for winter because limes are packed full of vitamin C which is vital to function a strong immune system (great to keep those colds away). For the base, I decided to go for a a bit of a chocolate twist! Cacao is used for a chocolatey taste and I use cacao because it’s a raw product made using cold-pressed unroasted cocoa beans. Cacao also has wonderful health benefits as it contains antioxidants, is rich in minerals, and can increase levels in neurotransmitters which promote a sense of happiness an wellbeing. 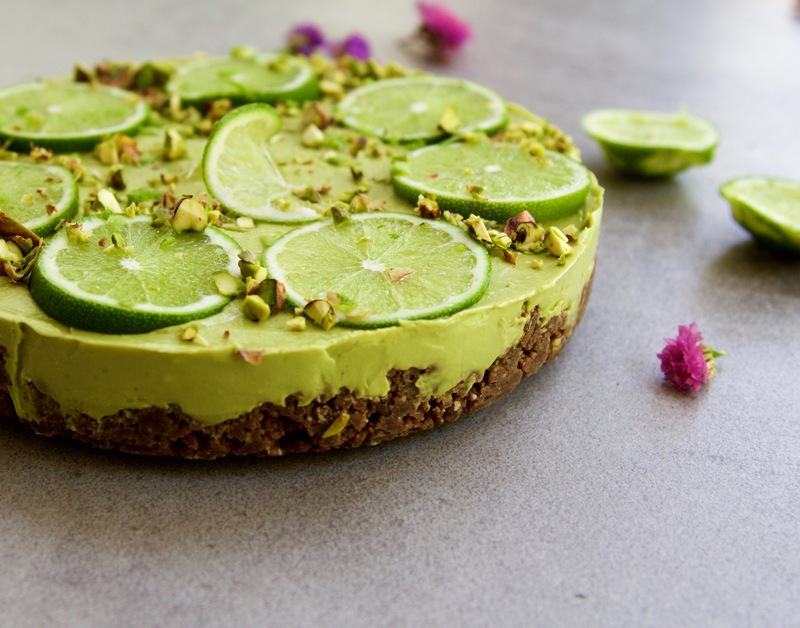 Avocados are the key ingredient to the filling and are also responsible for the vibrant green colour! 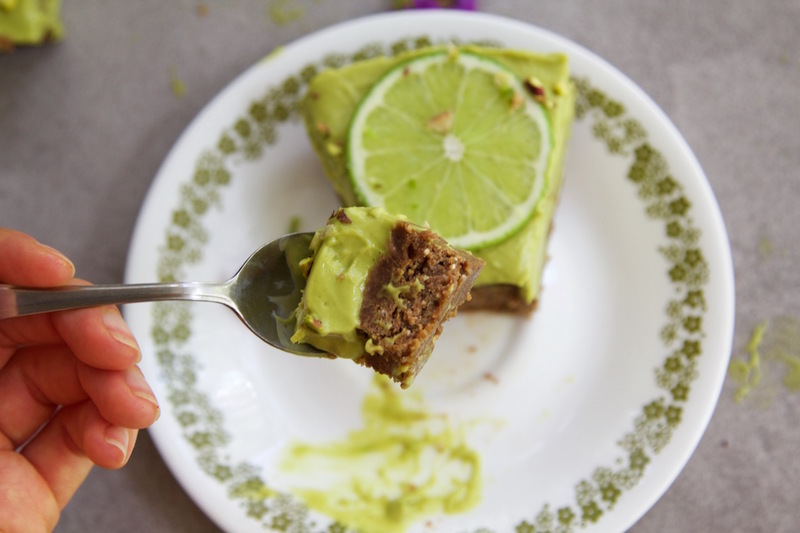 Avocados are a source of good fats and have a smooth creamy texture perfect for desserts (don’t worry about using avocados in this because no one will be able to tell it’s in there!). You will need: a springform round cake tin, baking paper, high speed blender or food processor. For the base, blend together all ingredients until combined (don't over blend as the base is better a bit crumbly). Line a round springform cake tin at the bottom only with baking paper and press the base into the tin, transfer into freezer while making the filling. Cut avocados in half, remove seeds and scoop filling out, place in blender along with all remaining filling ingredients and blend until smooth. Pour on the base the spread evenly with the back of a dessert spoon, place back into freezer for 3-4 hours. Take out and add optional toppings! I used lime zest, lime slices, and pistachios! Store in fringe or store in freezer if you want it to last longer! Best eaten in 3-4 days. Can I substitute the nuts for anything else to make it but free? Hello! I couldn’t find anywhere buckwheat groats, what can I use to substitute that? Thank you!